In March 2011, Reuters announced a secret order signed by Barack Obama to provide covert support for Libyan rebel forces. The operation became known as Zero Footprint, but after Obama finished with it, Big Foot was identified. For about 18 months before the attacks on our Benghazi Special Mission, intelligence had successfully identified terrorist factions inside the rebel factions. Those terrorists included the Muslim Brotherhood as well as al-Qaeda. 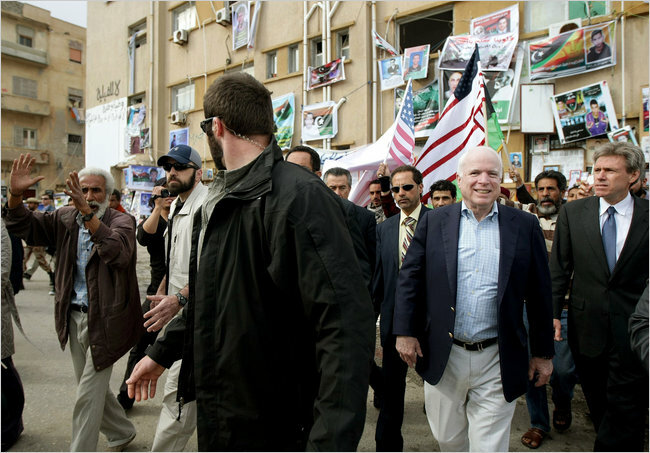 Nevertheless, Senator John McCain said the rebels were his heroes. Qadhafi made a fatal mistake, literally, by working toward one currency for Africa, which threatened the West. The idea of a gold dinar sealed his death by the West, if these informants are correct. Chris Stevens is named liasion to Libyan rebels, and a year or so later he was named U.S. Ambassador to Libya  in truth, he was in the international arms transfer business. I like bulleted lists, if you havent already noticed. The above is a short summary, the bulleted list is shorter than the transcript below the list. The transcript is from The Blaze TV special, For The Record  Operation Zero Footprint. The full transcript begins after the graphic. Many thanks to The Conservative Lady, where you can see her highlights and the video.  2008 The U.S. is working with Libya with the goal of thwarting al-Qaeda. Also search Ghadaffi wanting gold for oil. Let Trey Gowdy call Juan MeCain to testify about his knowledge of arms running to the muslim brotherhood to support to the Syria terrorist/rebels. The Ambassador was crying out for help several weeks before he was murdered. 0bama’s phony and illegal war for oil. “Omerta” is a code of honor that places a “code of silence” on certain activities. Retaliation against informers is common, where said informers are known as “rats” or “snitches”. Secretary of State Hillary Clinton has admitted that Al-Qaeda and other groups on the State Departments terror list are on the same side as the United States in Syria and that they are aiding opposition rebels. Clintons admission that Al-Qaeda is supporting the armed insurrection in Syria dovetails with reports that the same Al-Qaeda terrorists who helped overthrow Colonel Gaddafi in Libya were airlifted into Syria by NATO forces. Don't worry. I'm here to help. Remember “Patriot Games”? Remember the night attack watched on TV in the WH? That was supposedly in the Maghreb.